spray operations in The United States. partnership with Beak & Skiff and Reality Research. blooms turn into the largest and most prized apples, and command premium at Market. reduce the quality of the overall crop. Orchards are forced to hand thin these fruit with manual labor, at a cost of $500/acre. flowers from ever being pollinated? That's exactly what Dropcopter successfully tested. immediately netted in barriers, to prevent any further pollination. section more than once. They are all ripe at the same time! These large King fruit are worth twice as much and sold direct to premium markets. 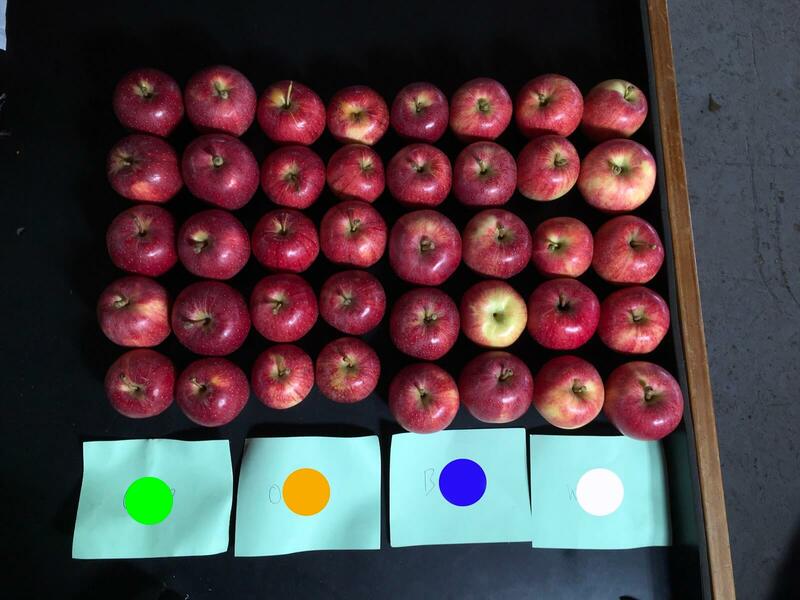 Lastly, customizing the choice of pollen applied improved consistent color of the fruit due to cross pollination. Dropcopters methods are patent pending and further tests on pollen effects are planned. The trial results are Illustrated in the included photo. Apples marked in green.